Смартфон Vivo V15 Pro поступил в продажу в конце марта через крупные розничные сети по цене 33 990 рублей. На тот момент, например, Huawei Honor View 20 в конфигурации 6 ГБ/128 ГБ оценили в 37 990 рублей. За эти деньги, помимо флагманского процессора с двойным модулем нейронных вычислений, "одноклассник" предлагал батарею повышенной емкости с более мощной (22.5 Вт против 18 Вт) быстрой зарядкой и 48-МП (Sony IMX586) тыловую камеру с ИИ-функциями в тандеме с 3D ToF-модулем. Правда, экран у него не Super AMOLED, а IPS, на котором еще и "глазок" фронтальной камеры имеется, да и слота для карт памяти в Huawei Honor View 20 вообще не предусмотрено. Vivo V15 Pro будет интересен тем, кто ключевым параметром при выборе ставит качество съемки. Выезжающий модуль фронтальной камеры с безрамочным экраном, Super AMOLED-дисплей, длительное время автономной работы, интегрированный в экран сканер отпечатка пальца, поддержка бесконтактных платежей, эффектная текстура задней крышки. Задуматься о целесообразности покупки может заставить только стоимость. Сам по себе Vivo V15 Pro очень хороший смартфон. Гаджет прекрасно выглядит — красивый, современный, с в меру переливающейся задней панелью, с непривычным подходом к дизайну модуля камер, с полностью безрамочным дисплеем без всяких «бровей». А выезжающая фронтальная камера добавляет смартфону изюминку. Но цена в 34 000 рублей делает выбор в его пользу очень тяжёлым, так как в той же ценовой категории есть смартфоны поинтереснее хотя бы за счёт более высокой производительности. 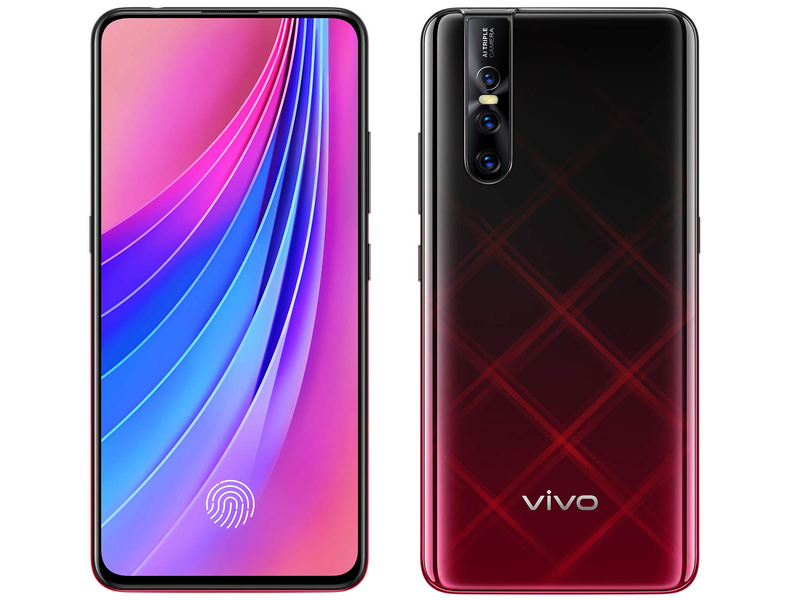 Vivo is a company that is known for bringing flagship features to the less expensive mid-range segment, and the V15 Pro is another proof of that. Here’s a phone that is not only better than its predecessor, the V11, in looks and performance but also inherits some of the features of the more powerful NEX like the Ultra FullView Display and the motorized pop-up camera. The vivo V15 Pro is priced at Php 23,999 and is currently available for pre-order from March 21 to April 11. Those pre-ordering will receive Php 7,500 worth of freebies that include 6 months extended warranty, Premium NBA case, Bluetooth speaker, and 6 months screen protection. Vivo V15 Pro has tried saving itself in almost every section ..
Vivo V15 Pro Review, a device with so many heavy features such as motorized selfie camera, 48MP camera lens, 8GB RAM and so many others. It is the most loaded device by Vivo till now, they have introduced so many new features at a mid-range price value. We are impressed by this device but we have to wait and see how long this motorized camera will run in the future, it is just raising the question. Briefly, its a beautiful device with awesome features and tech lovers will surely love this techy device. The vivo V15 Pro strongly depends on its unique or rare features in the price range. They do contribute to the overall asking price and one could justify the extra cash. But besides the motorized camera and the in-display fingerprint, what else do you get? Well, for starters, the phone has very good battery life (although the fast charging isn't really "fast"), good AMOLED screen and gorgeous design. The 6.39-inch notch-less display is also worth considering. Vivo V15 Pro seems to be a complete package that offers a premium design, good cameras and immersive display. The phone’s performance is up to the mark and you will not feel any lag or shutter. The cameras of the Vivo V15 Pro are capable and it provides good battery life. The only trade-off you notice is the lack of USB Type-C port and Widewine L1 certification. Apart from this, if you are considering a device with new innovations, then Vivo V15 Pro can be considered as a good option. 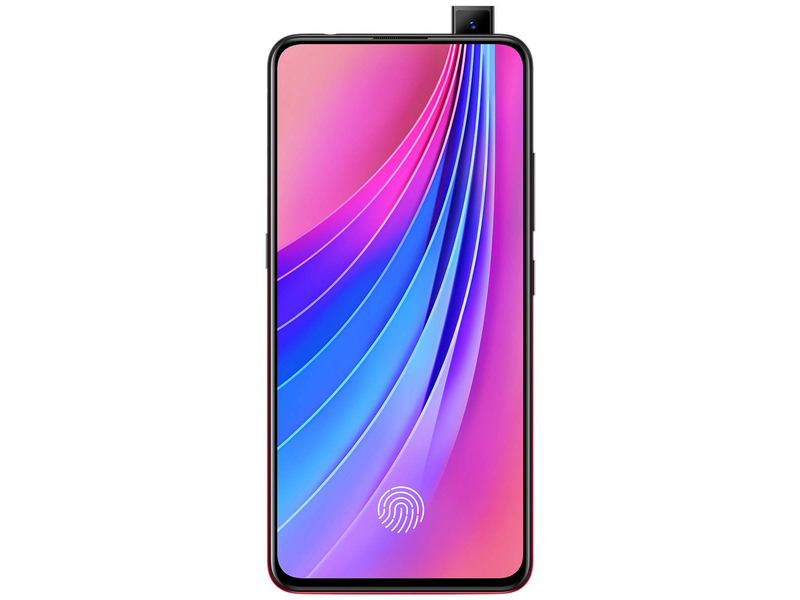 The Vivo V15 Pro might not be the best choice for everyone, but it does stand out with its design and innovations, so the company has succeeded in its endeavour to a large extent. In the end, your choice will boil down to whether the Vivo V15 Pro aligns with what you want in your next smartphone. If style matters to you, the Vivo V15 Pro offers a lot of style. In addition it also offers a great display and above average cameras. That could be worth Rs 28,990, but not to everyone. If the price would have been somewhat lower, and software along with performance a bit more polished, I would have found it easier to recommend it to everyone. For now, it is a good option for some users but not for everyone. 80% Vivo V15 Pro review: Innovative pop-up camera, but is the price right? Vivo V15 Pro is certainly an all-rounder thanks to its stylish design, fast performance, and good cameras. The pop-up selfie camera is for those who want to stand out from the crowd and might find a lot of takers. The Vivo V15 Pro seems to offer capable hardware at Rs. 28,990, but is that enough to beat the competition? Stay tuned for our full-length review of the Vivo V15 Pro, in which we'll examine its specifications, features, construction quality, display, performance, cameras, and battery life, to find out. Vivo V15 Pro First Impressions: Is it a masterstroke from Vivo? Vivo V15 Pro seems to be a device to watch out. The smartphone features premium design and the display look great in our opinion. 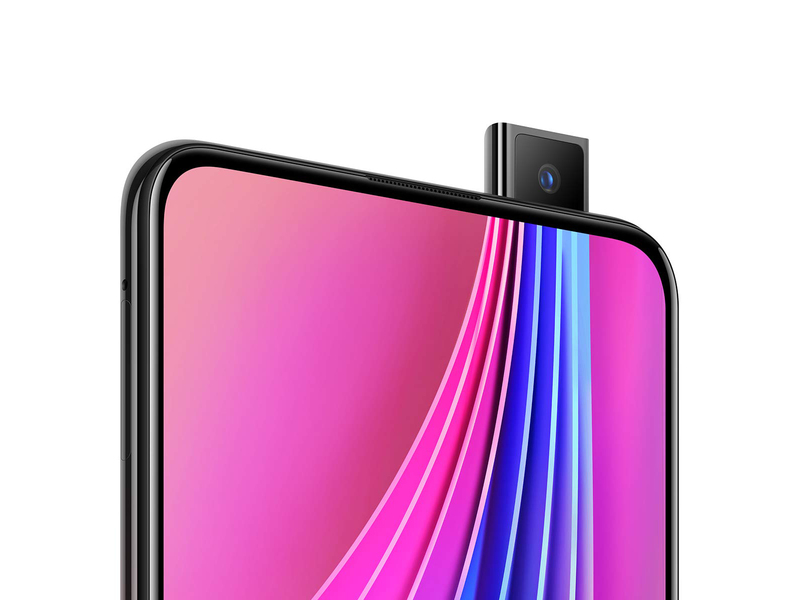 The combination of the triple-camera setup at the rear and the 32-megapixel pop-up selfie camera is the major selling point of this device. The battery seems to be good, though we need to perform a couple of tests to give our final verdict. As for the competition is concerned, the smartphone will face a tough competition with the likes of Asus Zenfone 5Z, Nokia 8.1, Xiaomi Poco F1 and more. In a bold move, Vivo's introducing its newest flagship, the Vivo V15 Pro just hours before Samsung will officially unveil its highly anticipated Galaxy S10. Based in China, Vivo is hoping to one-up the Korean giant, and from where I stand, there's a chance it'll actually do it, maybe not in sales, but in terms of making a more covetable phone with some standout features. There's no two ways about it - the vivo V15 Pro is an impressive phone and easily one of the most exciting mid-rangers in recent times. The full screen front, the large sensor selfie camera on a motorized slider and the excellent 48MP main camera are all features worthy of a flagship. If you are looking for a phone that has the cool factor, an eye-catching design, captures good selfies, will give you an uninterrupted video-viewing experience — notch-wise — then you should surely go for the Vivo V15 Pro. The Vivo V15 Pro is a great phone for heavy social media users. It strikes a good balance between performance and design. While the design decisions with the operating system are somewhat questionable, the phone should please all but the most demanding gamers and smartphone photographers.